How does a person touch math? Leave it to a preschooler to figure that out. Those lovely three-year-olds are getting into everything. Why not let them get into math? We love our students at LBA, and we want to set the foundation for their success, so we start teaching them math at three (3) years old, in a way that they understand and enjoy. 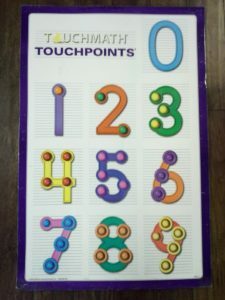 We use a system called Touch Math which lets preschoolers get their hands involved, tracing numbers with dots corresponding to the number (check out the picture on the right). In the end, LBA students wind up Leaps and Bounds ahead. Storytime!! Before we ask our students to read to us, we read to them. 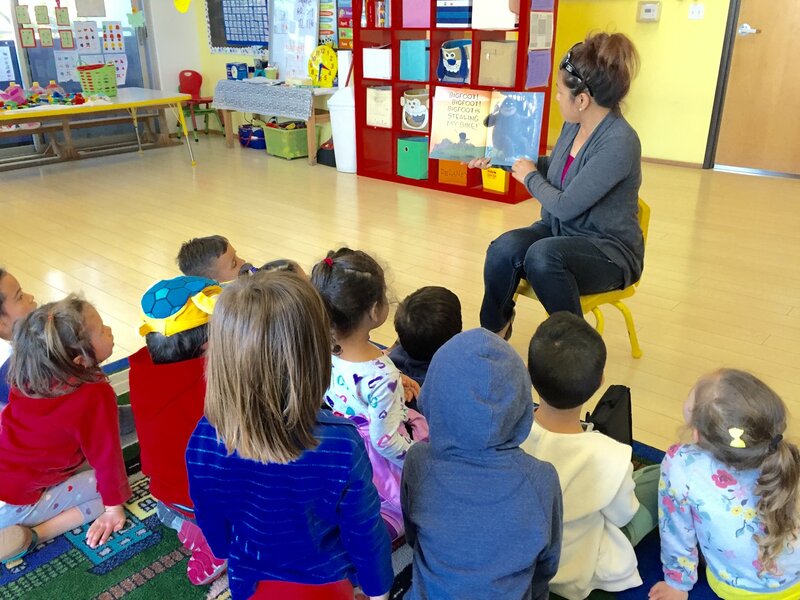 Storytime is a time when students learn to love their books and stories, so that next year they’ll love reading on their own. At three years old, LBA students are learning to love reading, setting a solid foundation for the future. It’s a song you might hear your three-year-old LBA student singing. 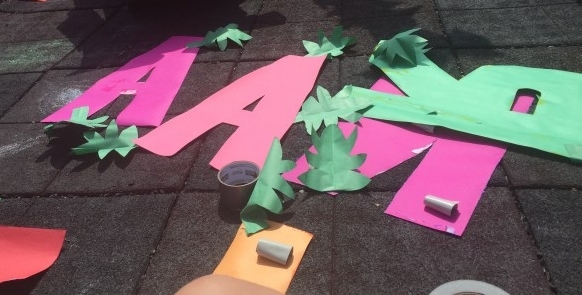 One thing we do to lay the foundation for success is teach our preschoolers their alphabet. At three years old we have them tracing letters and getting ready to write on their own next year.